What would happen if we were completely honest with ourselves? What if we looked in the mirror and not only saw our own reflection, but saw who we truly are deep down inside? What if our eyes really were the windows to the soul, so that when we looked into our own eyes, we would see ourselves as others see us? What if our thoughts were suddenly revealed, not only to see and know for ourselves, but for all to see? What would that be like? One of the premises of AA is that everyone is broken in some significant way. But realizing that we’re all broken wasn’t first discovered by Bill W – the scriptures have been telling people that for millennia. How do we go from good to better to becoming our best selves when deep down inside we know for certain just how broken we really are? 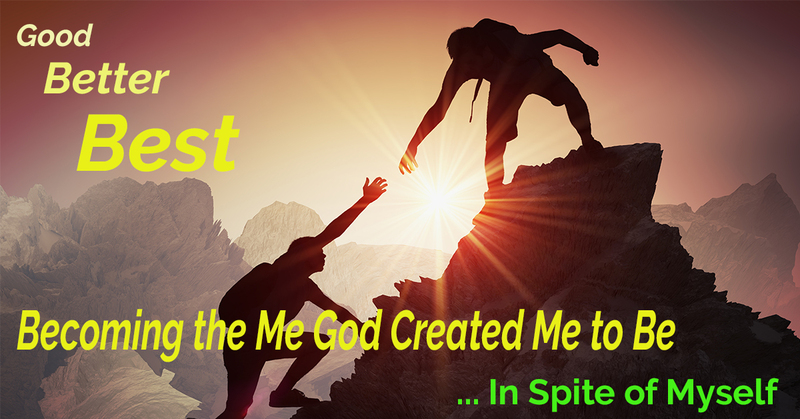 How can we become our best selves in spite of ourselves?